Khachik Akhkashian graduated from California Polytechnic University of Pomona where he received a Bachelor of Science Degree in Finance, Real Estate, and Law. Thereafter, Mr. Akhkashian was admitted to Southwestern Law School where he excelled in Moot Court to become a "Best Oralist Finalist." After his first year at Southwestern University School of Law, Mr. Akhkashian successfully transferred to Loyola Law School. There, he qualified to join Loyola's Entertainment Law Review. Eventually, he became a member of the Law Review's Executive Board as "Managing Editor." Mr. Akhkashian has a wide variety of experience, as he has been employed by firms such as Rubin, Eagan and Kane; Lozano Smith, as well as, Collins, Collins, Muir & Traver. Bankruptcy filings need the attention of a qualified and dedicated lawyer that will take the time to handle them as best as possible. 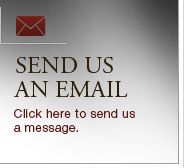 Attorney Khachik Akhkashian is dedicated to his practice and devotes his profession to his clients. He has a passion for helping the many citizens that have found themselves faced with financial hard times to obtain freedom from mortgage payments, school loans, credit card bills and more. Through successful planning and evaluation he can review the most effective steps to take in your case. By the careful handling of numerous cases for his clients, he has been able to help them correctly file for bankruptcy or pursue other valuable options to resolve debts. 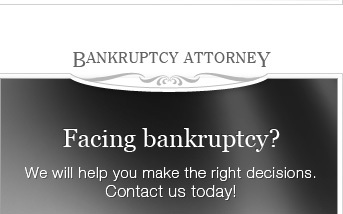 When you are considering bankruptcy you are already in a difficult position and cannot afford additional challenges. With the help of the firm you can explore the options of bankruptcy while having the legal guidance of a knowledgeable lawyer on your side.